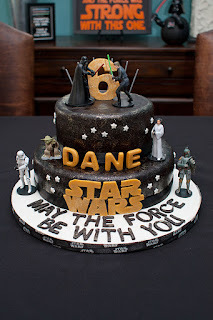 Dane is six! 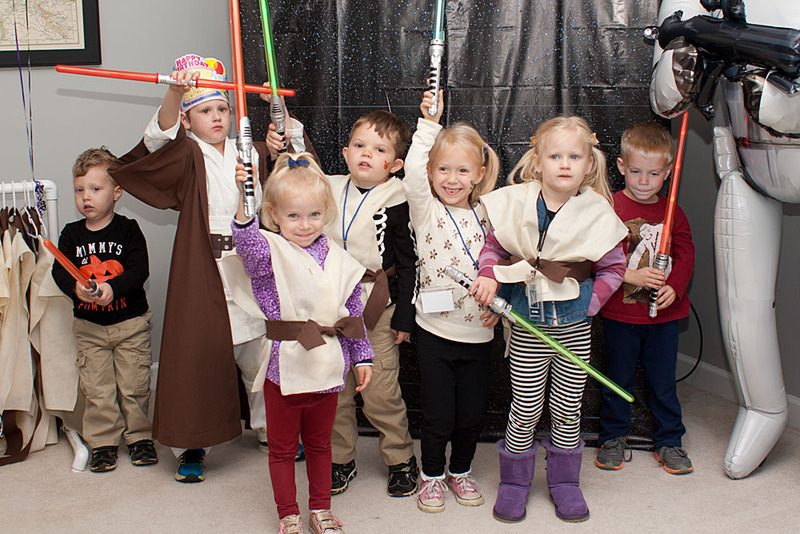 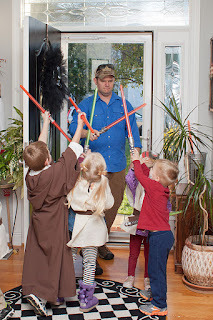 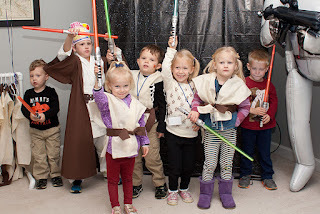 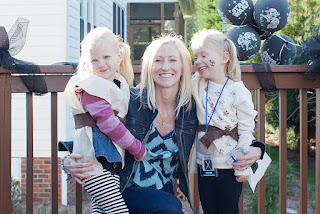 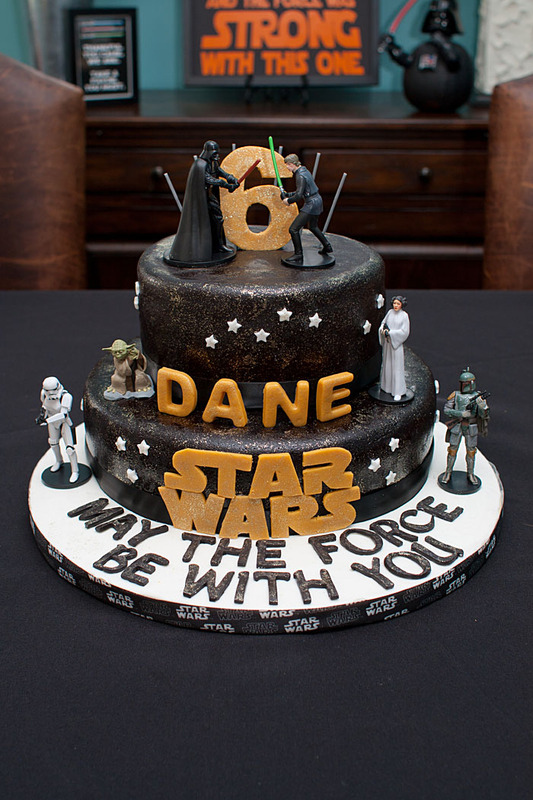 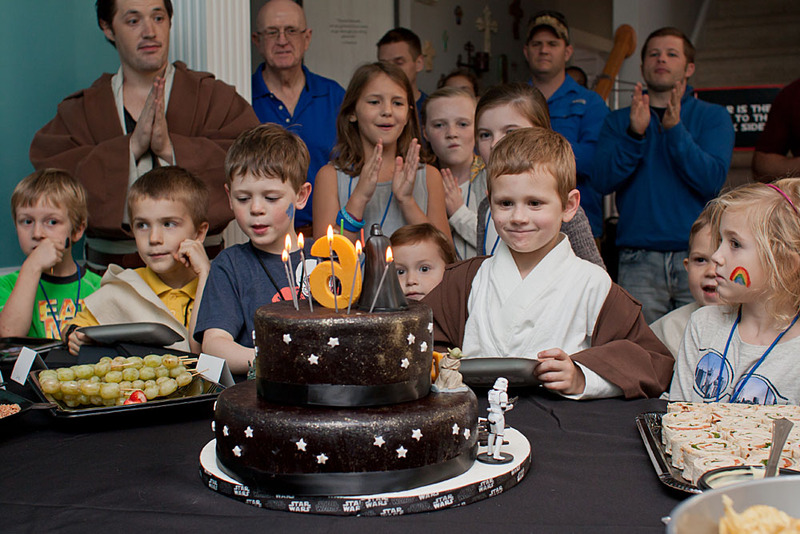 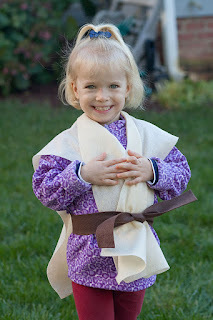 And we celebrated a few weeks ago with a Star Wars birthday party. 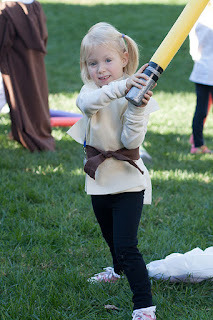 My kids don't really know what Star Wars is, but they learned who the basic characters are and that they really love light sabers! 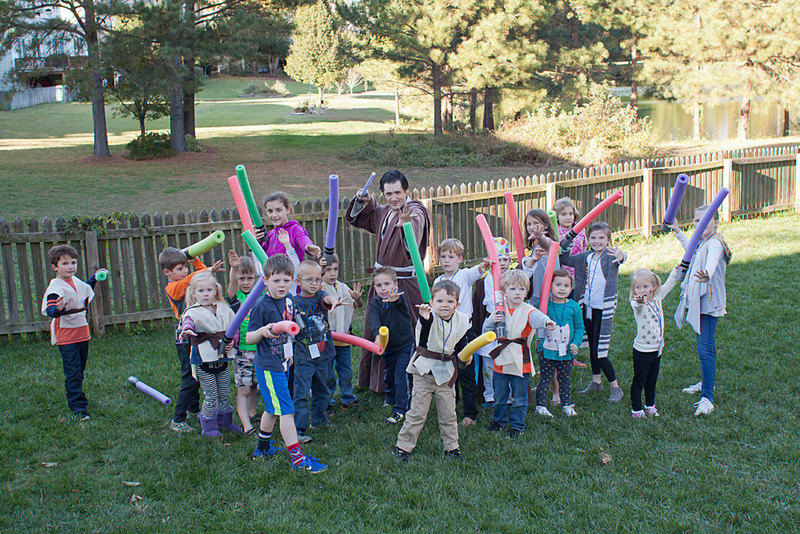 A Jedi Master lead Jedi Training in the backyard. There was a life-sized inflatable Storm Trooper (which Sweet Pea was not a fan of). 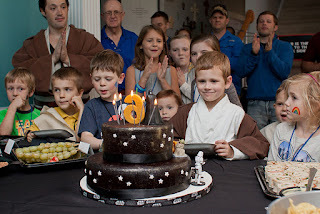 My mom made a cool Star Wars cake complete with figurines. 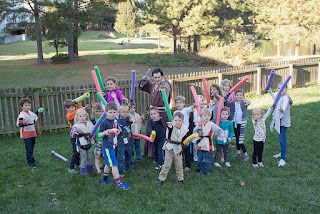 Jedi Dane had a blast, and everyone went home with a light saber to keep (which have been confiscated roughly a thousand times already). The cousins, as always, had a blast running around and playing together. 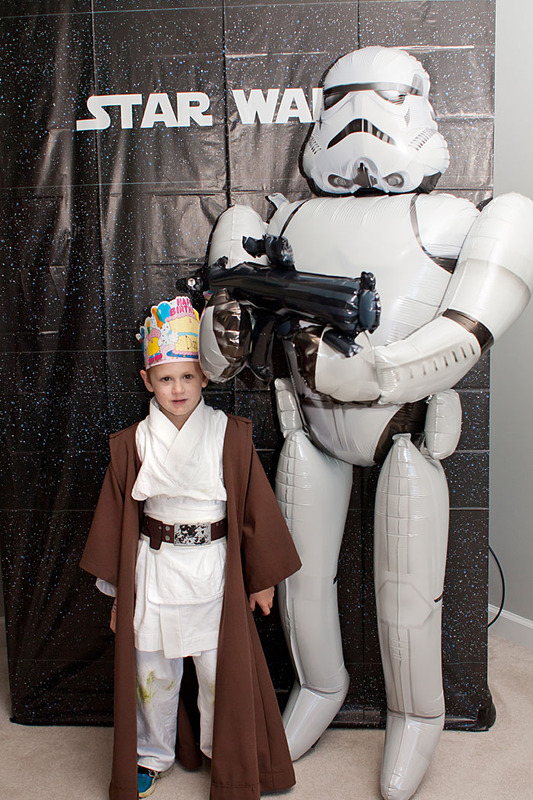 And at the end of the day, Susan had pulled off another amazing party.